« Look What You’ve Done! I’m finally back with the alternate project for Block 2. 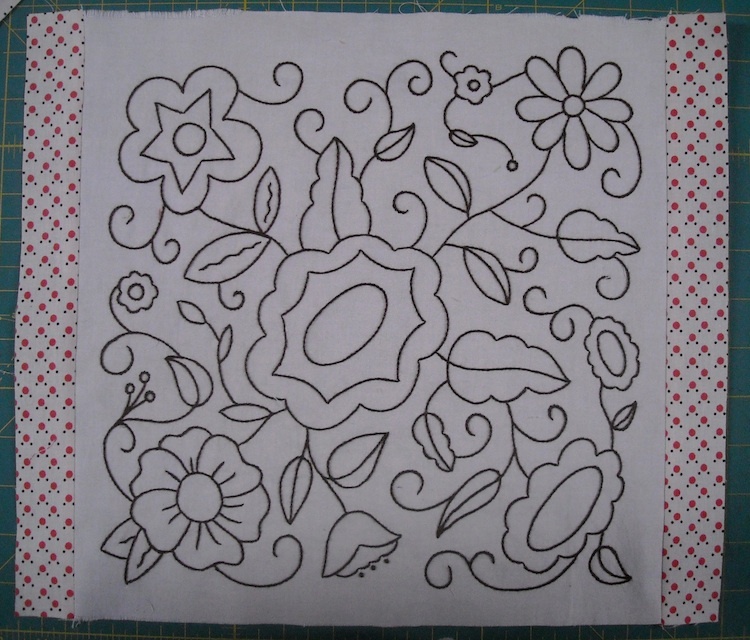 If you’re not interested in making the entire quilt, here’s another project that you can make with just one block: The Wildflowers Pillow. I used Block 2, embroidered all in brown thread, and some Dear Stella fabrics to put it together with. This makes a 14″ pillow, and here’s how you do it. 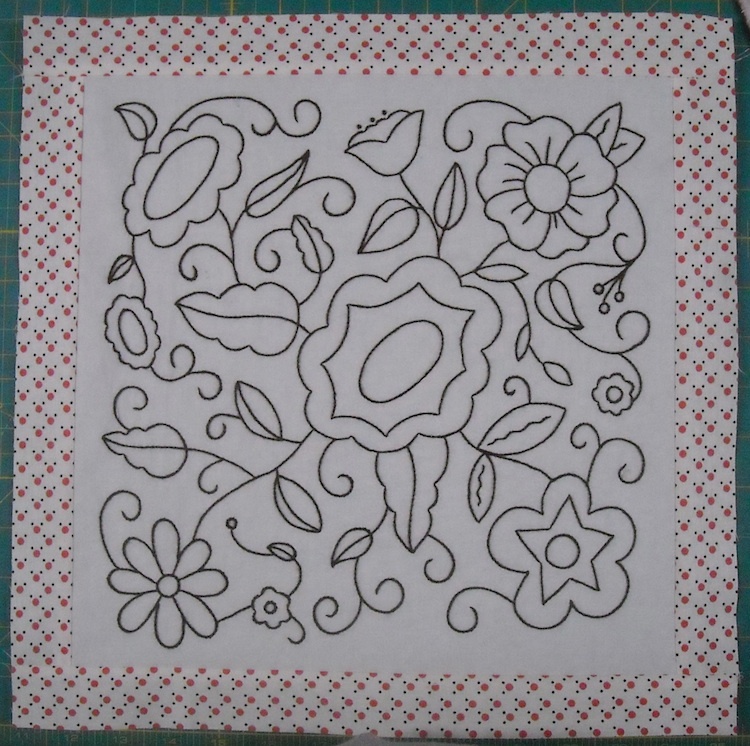 You’ll need a finished embroidered block. Block 2’s pattern can be found HERE. Once you have all that together, you can begin. 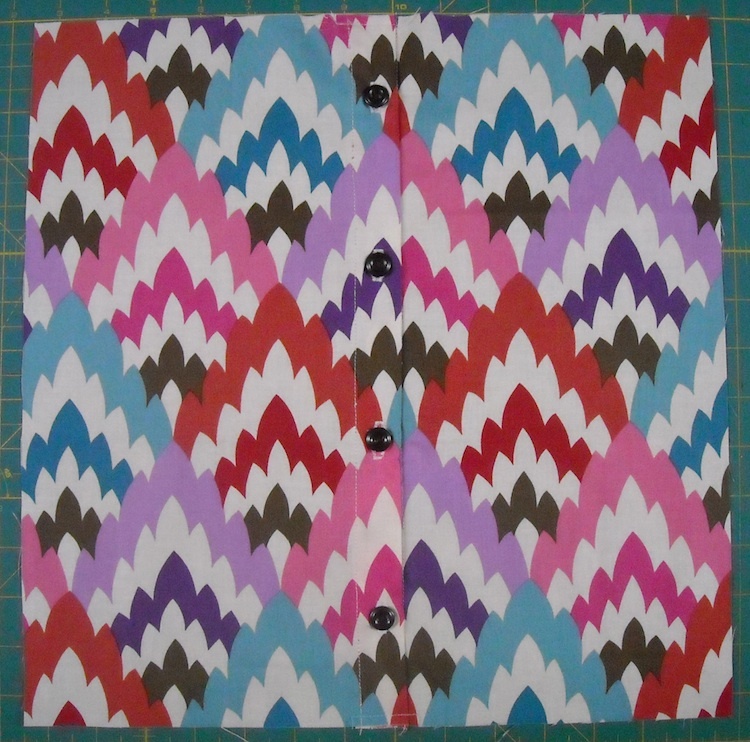 Add the 12 1/2″ strips to the sides of the embroidered block. 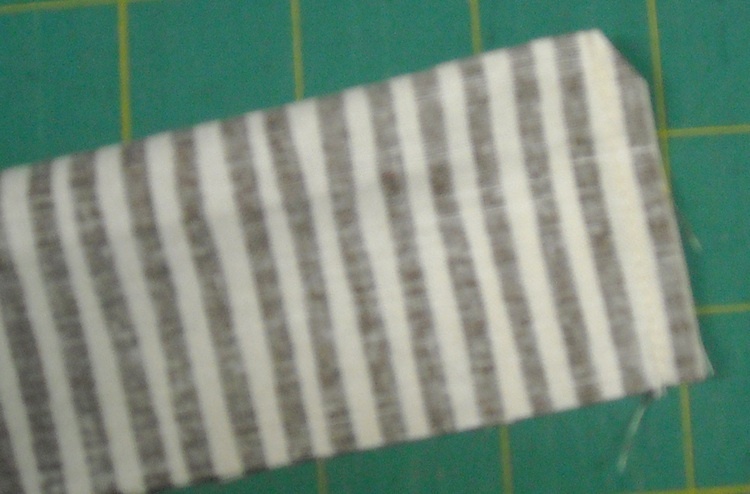 Press seams toward the strips. 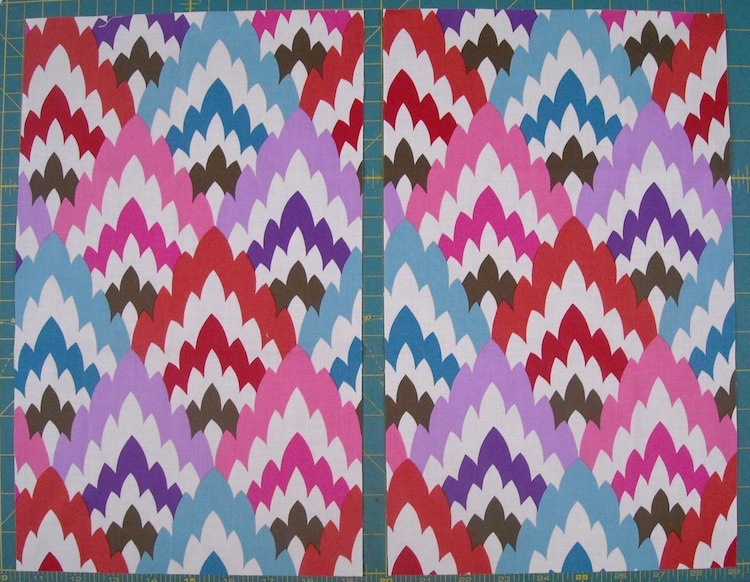 Add the 14 1/2″ strips to the top and bottom of the embroidered block. Press seams toward the strips. Your pillow front is all finished. Press under 1/4″ on the center edge of each pillow back piece. Press under again 1″ and stitch along the folded edge. Next, make 4 evenly spaced buttonholes on the edge of the left piece, and sew 4 buttons to match up with them on the right piece. NOTE: If you do not wish to make buttonholes, you can use snaps or Velcro dots instead. Button the buttons into the buttonholes, and stitch across the outer edges where the pieces overlap to hold them together. 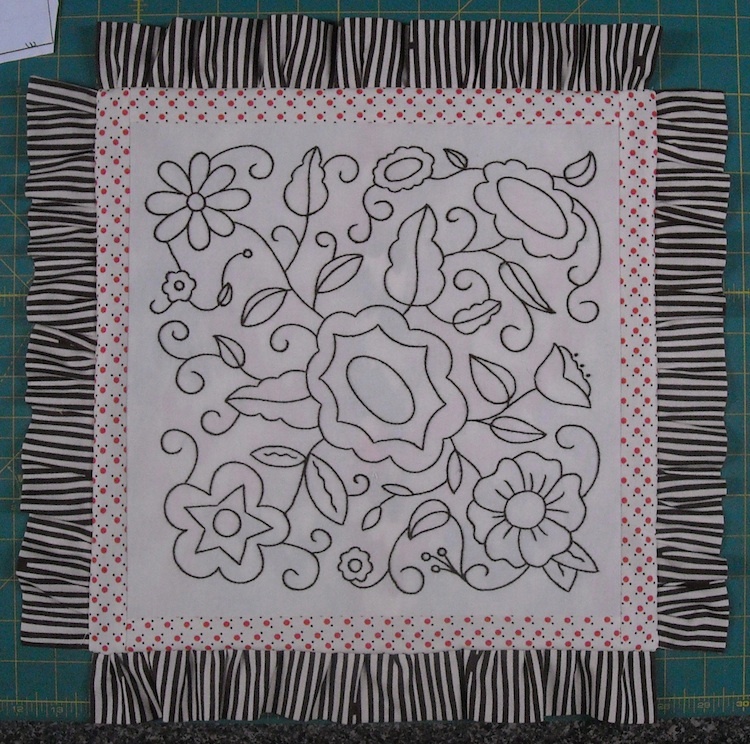 The pillow back is now finished, and should measure 14 1/2″ square. Now to make the ruffled edges. Fold each strip in half lengthwise, right sides together, and stitch across the ends, backstitching at both ends of the seam. Clip the folded corner. Turn the ends right side out and press the strips in half along the fold. Next, hand sew a large running stitch along the raw edges (through both layers) of each strip. Tie knots in the thread tails at both ends. You’re going to use this as a pull string to make gathers. 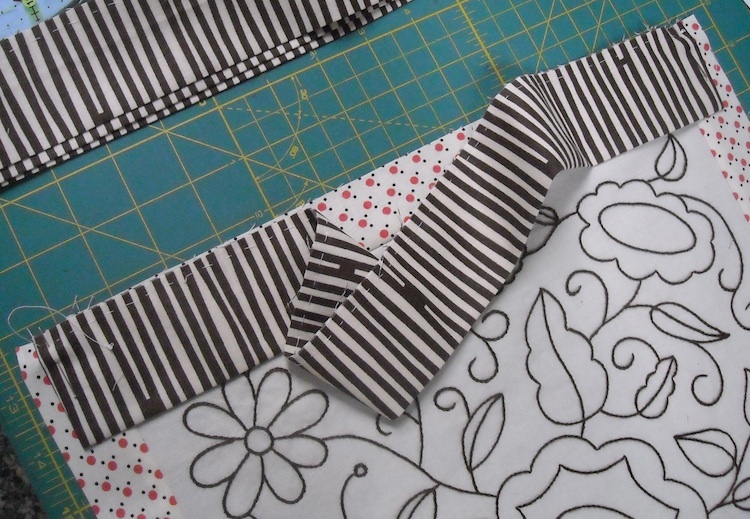 Lay a strip along one edge of your pillow front, all the raw edges aligned, and pin the ends in place 1/4″ in from each edge of the pillow front. 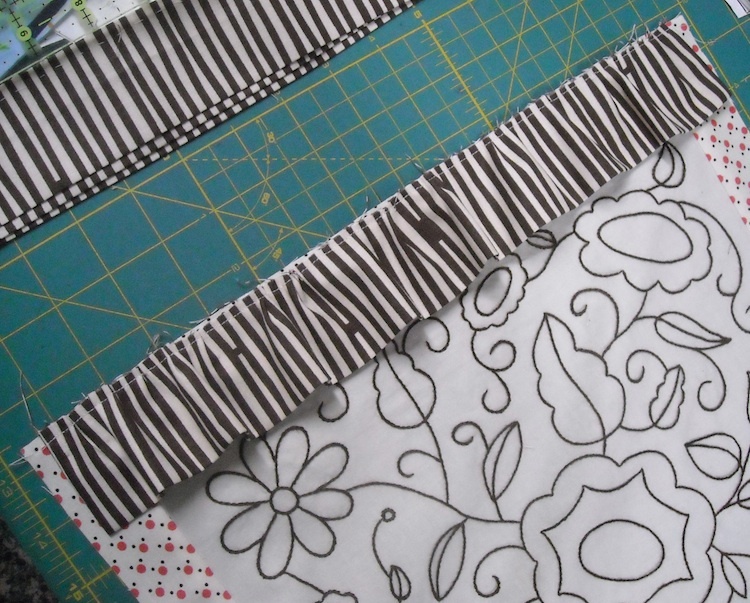 Using the pull string, gather the strip to fit the edge of the pillow front. Evenly distribute the gathers along the edge as you pin in place. Baste. 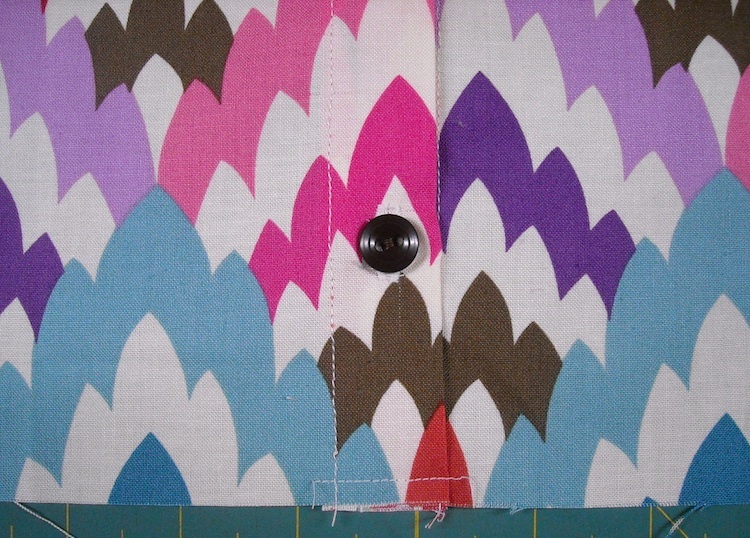 I basted using a long stitch on my sewing machine just under 1/4″ from the raw edge. Remove the pins and the pull string. Now lay your pillow top right side up on your work surface, and place your pillow back right side down on top of it. Pin it in place around all four sides. You can pin the corners of your ruffles back out of the way so they don’t get caught in the seams. 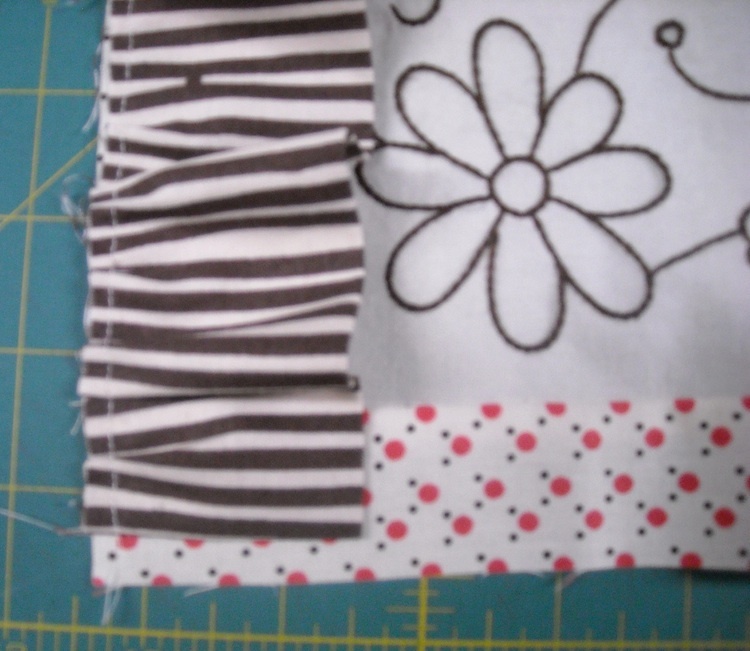 Stitch all the way around, using a 1/4″ seam. There’s no need to leave an opening. Make sure that you don’t get the folded ends of your ruffles caught in the seams. Unbutton the buttons and turn the pillow right side out. 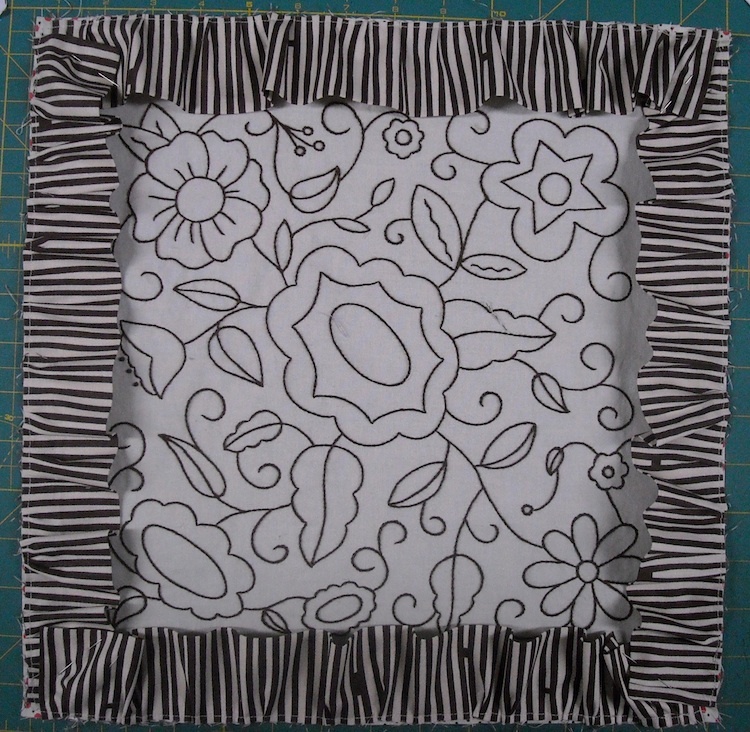 Insert your pillow form, button the buttons back up, and you have a completed pillow! I’ll be back in a day or two with Block 3, so get ready! I am using your blocks to make pillows for my sister for Christmas. I just started Block 1, so hopefully I will have three pillows by then. Her favorite color is purple and all variations so I went to the store and purchased a slew of floss in those colors and green. Can wait to have one block done, so I can try out your pillow directions. 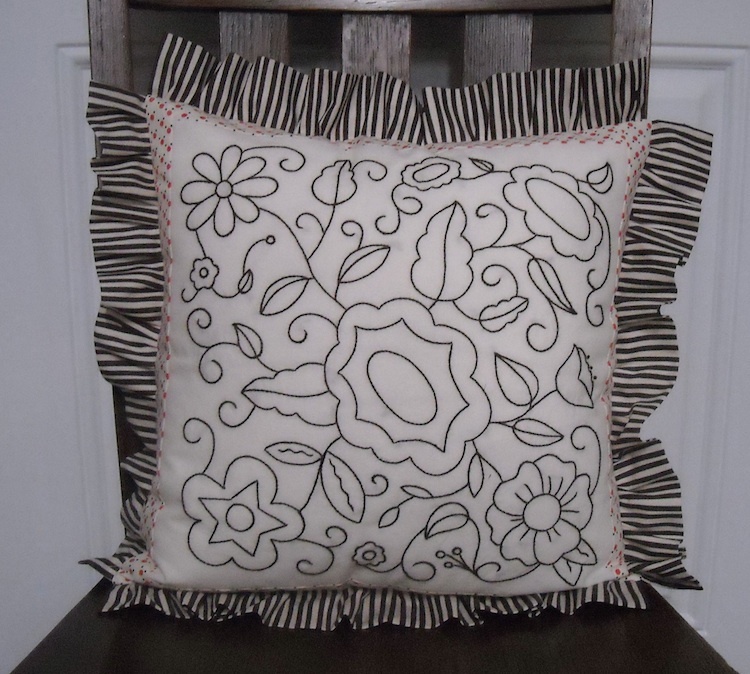 This makes a pretty pillow! Thank you for sharing! Cute pillow! I’m behind on blog reading, so I didn’t notice….lol. I did get Block 2 traced and I’m about 1/4 of the way done. Not bad. So, no rush on Block 3. LOL. Love the sidebar. Thanks! 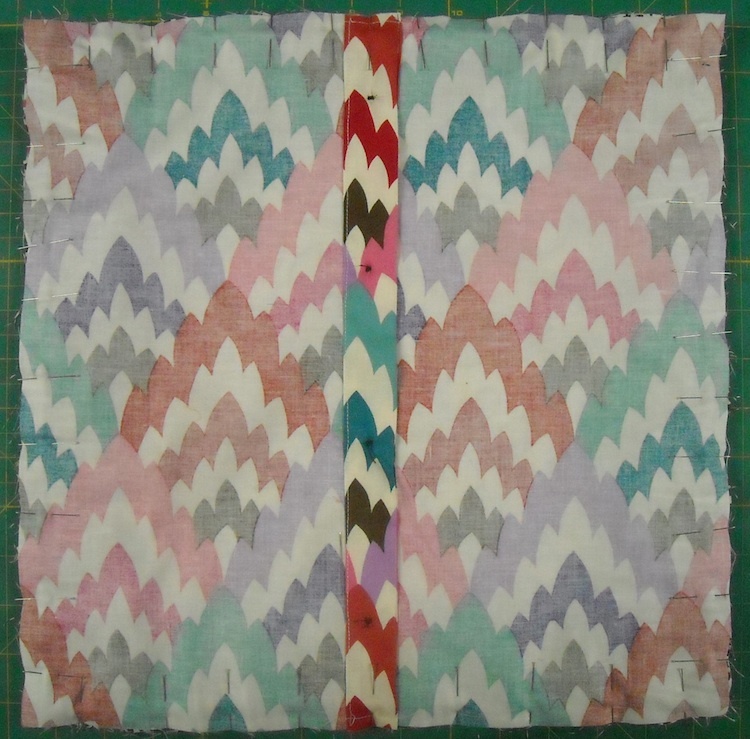 Will you be doing a sidebar for this quilt, too? By the way, How is it you get so much done, yourself?! You make the whole quilt, and you do every block again just to show us the one-block wonder project? You are a wonder! oooh! oooooh! This is so cute. The fabrics we picked out are just darling.